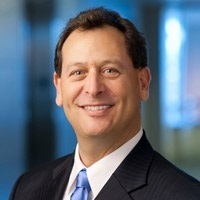 A Northern Virginia native with over two decades of financial planning experience, Larry Rosenthal, the President and founder of Rosenthal Wealth Management Group has become a metro-area household name. Families in our Nation’s Capital, Virginia and Maryland tune in to Larry every Saturday morning from 9:00 to 10:00am, on WAVA 105.1’s “Making Money Sense” radio show where he discusses financial issues affecting the community. Larry's professionalism and financial planning insight have landed him national media interviews with The Wall Street journal, Forbes, CNBC, Fox Business, NPR and many others. He also appeared as guest host for Crown Financial Ministries on Larry Burkett’s nationally broadcasted show “Money Matters.” Additionally, he has co-authored the book “Financial Success in the year 2000 and Beyond” and his next book is expected out by year’s end. Larry is also a public speaker in high demand as a financial planning subject matter expert. He speaks to employees, executives and members of corporations, federal agencies, churches, small businesses and private organizations at both the local and national level. Larry founded Rosenthal Wealth Management Group on the belief that everyone is entitled to proper financial planning by an objective and independent planner. He has gone to great lengths to see this holds true by handpicking each member of his team ensuring they are not only diversified in skills, but united in values and strength of character. Rosenthal Wealth Management Group helps clients achieve financial goals through investments, estate planning strategies, insurance, retirement planning, college funding and business planning. Larry is a Certified Financial Planner™ Professional and recipient of numerous national and community awards for service and excellence in his profession.